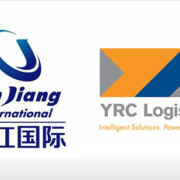 West Palm Beach, FL – November 2, 2015 – BG Strategic Advisors (BGSA) is pleased to announce that Jin Jiang International Holdings Co., Ltd. (Jin Jiang International), through its subsidiary Balance Global Limited, has agreed to acquire BGSA client YRC Worldwide, Inc.’s (YRCW) 50% interest in JHJ International Transportation Co., Ltd., (JHJ). 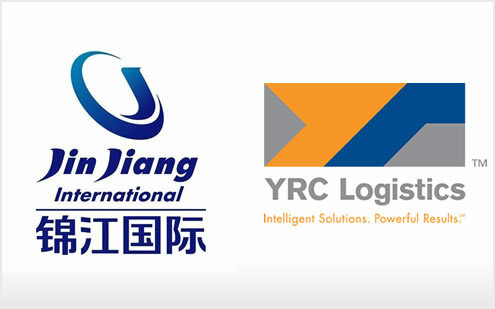 The purchase provides Jin Jiang International with 100% ownership of JHJ and completes YRCW’s strategy of divesting non-core international assets. The sale represents BGSA’s first sale of a mainland Chinese company. In July 2011, YRCW management implemented strategies focused on increasing profitability in its North American less-than-truckload ground transportation business. In 2012, YRCW divested non-core assets including its full truckload business and a China based trucking company. The sale of YRCW’s equity stake in JHJ to Jin Jiang Investment represents the last remaining non-core international asset in this series of divestitures. The sale is subject to certain regulatory approvals from the Chinese government. JHJ is a mainland China-based asset-light 3PL and freight forwarder providing services including international ocean and air freight forwarding, warehousing, truck brokerage, customs brokerage, supply chain management, quality control, and other asset-light 3PL services. The Company increasingly specializes in the higher-margin segments of forwarding and logistics, including the transport of oversized project cargo, integrated warehouse operations, individually engineered transportation and logistics solutions, and complete supply chain integration. JHJ has over 1,200 employees and 77 client service locations in major Chinese cities such as Shanghai, Beijing, and Wuhan. YRCW, headquartered in Overland Park, Kansas, is the holding company for a portfolio of less-than-truckload (LTL) companies including YRC Freight, YRC Reimer, Holland, Reddaway, and New Penn. Collectively, YRCW companies have one of the largest, most comprehensive LTL networks in North America with local, regional, national and international capabilities. Through their teams of experienced service professionals, YRCW companies offer industry-leading expertise in flexible supply chain solutions, ensuring customers can ship industrial, commercial and retail goods with confidence. YRCW is listed on the NASDAQ under the ticker YRCW. Jin Jiang International is one of the leading travel and hospitality conglomerates in China, with revenue and assets of approximately USD 9 billion and 6 billion, respectively. Jin Jiang International has three core businesses: hotel management and investment, tourist services, and transport and logistics. It holds directly/indirectly four listed corporations: Jin Jiang Hotels (2006 HK), Jin Jiang Development (A share 600754, B share 900934), Jin Jiang Investment (A share 600650, B share 900914) and Jin Jiang Travel (B share 900929). Jin Jiang International has extensive business and equity partnership with prestigious hotel groups such as Marriott, Hilton, InterContinental, Fairmont Raffels, Accor as well as over two dozens of globally renowned corporations such as Japanese Mitsui, JTB, UK HRG, and Swiss Les Roches Hotel Management College. BGSA is the leading M&A advisory firm focused on the logistics and supply chain industry. The firm specializes in providing CEOs in the logistics and supply chain industry with the tools to maximize their company’s value. BGSA has completed several well-known supply chain transactions, including the sales of PCD to Quality One Wireless, Open Mile to Echo Global Logistics, NESA to Liquidity Services, Access Computer Products to Waste Management, Converge to Arrow Electronics, Dixie Warehouse Services and Wilpak to Jacobson Companies, Churchill to BirdDog, Raytrans to Echo Global Logistics, and many others. For more information about BGSA, please contact Ben Gordon at ben@bgsa.com and 561-932-1601. Transportation and logistics M&A traction remains brisk Ability Computer & Software Industries Ltd.